Please SUBSCRIBE to the channel for highlights and videos to help you ID more birds! Be respectful. No religion or politics. No spam, swearing or talking about killing animals. Use English if possible so we can all communicate together. Keep it positive and most of all, enjoy the birds! You are watching a live stream of the bird feeders at my feeding station. 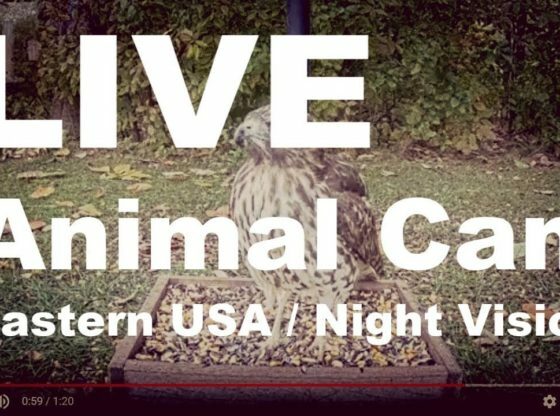 This bird cam provides entertainment but also a chance to learn the backyard birds of the eastern USA. I am located near the Cuyahoga Valley National Park in Akron, Oh (USA). Common animals at night include opossums, raccoons, rabbits, deer, and skunks. News, Issues & Information (04/12/19) An opinion piece authored by The Dogwood Alliance made an attempt to change the global conversation about working forests based solely on fear. To rebut this misinformation, Biomass101 addressed it with actual facts and science.